Teaching and Developing online: Reaching your potential, you have no idea. Reaching your potential, you have no idea. Watching Under 16-year-old boys volleyball at this weekends tournament. I noticed there are players 6 foot- 6 inches tall and players who are 5 foot – 1 inch tall. Genetics is not something we can control and each and every player who has chosen volleyball needs to use what they have to the best of their ability. The envy of watching someone who has a great vertical is the catalyst for developing your vertical jump to its maximum level. This is only done by jumping, the maximum is determined by genetics but if you ask the ones who made you envious because of their great vertical jump, each of every one of those athletes has earned the vertical and explode off the ground each and every time but are still not at their maximum yet. 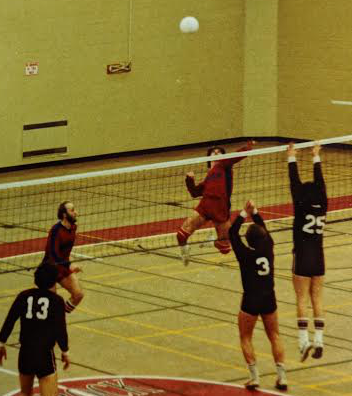 Your maximum vertical jump is determined by genetics, but it is also my belief that of all the boys on the 24 teams at the tournament no one has reached their potential, no one has done the work to reach or earn their maximum they could not have in the time that they have been playing volleyball. Don’t get me wrong there were some great jumpers who have discovered the key to being a great jumper is jumping to your maximum every time you jump in volleyball. But with the right instruction, effort, diet and time they can still be better. That is what is so great about coaching this age, seeing the change in the athletes as the genetics determines their maximum strength, and height but even better is watching the athletes discover their possible potential but they have no idea how good they can become. My hope is that all the possible athletes learn the self-discipline, self-confidence, desire and work ethic which will allow them to realize their potential because it is so much more than they currently believe or can even envision.